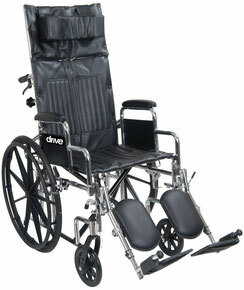 The Chrome Sport Wheelchair by Drive Medical offers a reclining option with plenty of adjustments, while still offering comfort and style. The Viper Plus GT Full Reclining Wheelchair from Drive Medical is the perfect solution for anyone looking for a high-end reclining wheelchair. 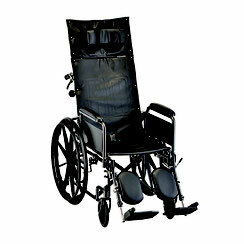 This 20" Recliner Wheelchair by Nova reclines to a full 180 degree position. The Silver Sport Wheelchair by Drive Medical has a new reclining mechanism that allows for infinite adjustments up to 180 degrees. 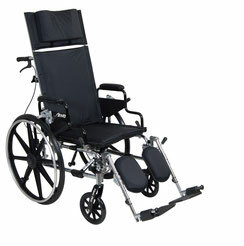 The Rainier Reclining Manual Wheelchair by Merits offers a full 180 degree recline with infinite adjustments. 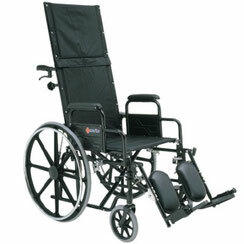 The Sentra Reclining Wheelchair from Drive Medical is truly reclining and comes standard with an array of features. 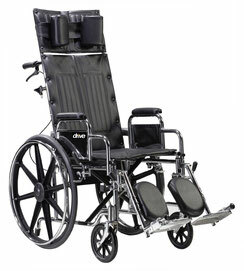 This 16" Recliner Wheelchair by Nova reclines to a full 180 degree position. 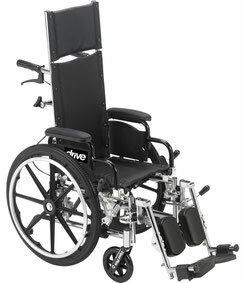 The Drive Viper Plus GT by Drive Medical is an adjustable and lightweight pediatric wheelchair. 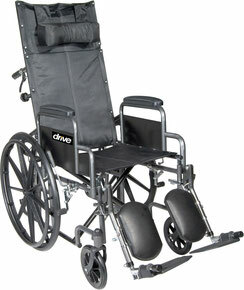 This 18" Recliner Wheelchair by Nova comes equipped with detachable full arms and elevating leg rests.